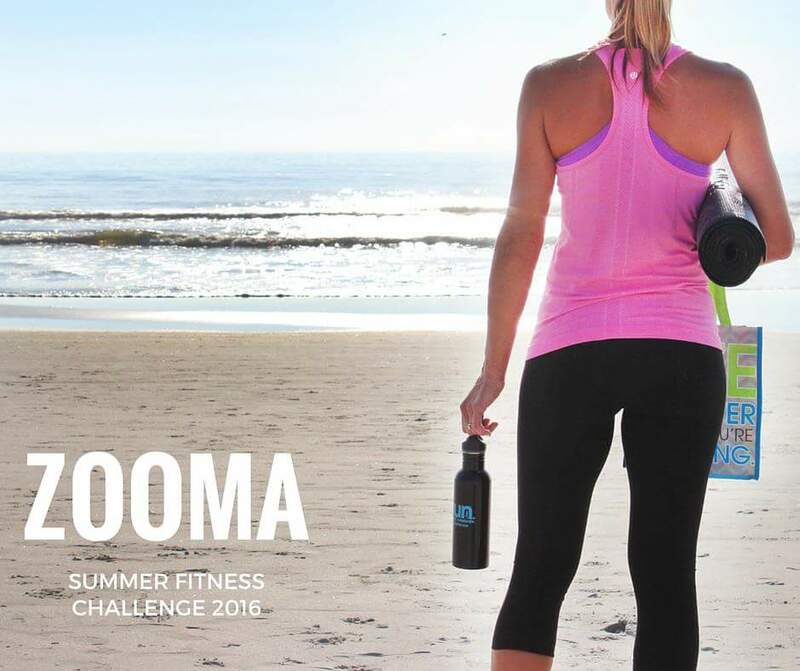 ZOOMA Summer Fitness Challenge Begins 6/27! While the temperature has been extremely hot the past week, summer is finally officially here! When the weather’s so hot and the weekends are busy with trips to the beach, how do you stay motivated to keep up with your workouts? Well, ZOOMA is back with a new challenge for the summer! The ZOOMA Summer Fitness Challenge will push you to expand your workout horizons, experiment with new foods and activities, and get your body and mind strong to prepare for fall race training. Let me tell you how you can sign up and join in the fun that is starting up on Monday, June 27! I’m linking up with Marcia, Erika, and Patty for Tuesdays on the Run! You’ll find some great workout recaps, race recaps, and overall tips for becoming a better runner! Several months back, ZOOMA sponsored the Run Love Challenge, a training program that ended with a virtual 5K/10K on Valentine’s Day. It was so fun, and as a ZOOMA Ambassador, I was able to participate for free and share my experience! Cost: $50. Here’s where you can register! The program runs from Monday, June 27 to Sunday, July 31! Here’s the lowdown on what to expect for this Virtual Challenge! Food – each week, cook (and eat) a meal or snack using the weekly ingredient. We’ll suggest a couple of recipes, and also ask you to contribute your own favorites to the Facebook group. If the ingredient is a new one for you, just try anything! If it’s one that you already use, try a new recipe. This is a GREAT way to break out of your food comfort zone and maybe even find something new that you love! Workout – each week, do two non-running workouts. We’ll make suggestions, but you can ultimately choose which you do. You probably will not have the same combo of workouts on any of the 5 weeks. This will require some advance planning, but don’t worry, we’ll make this all simple and totally do-able. Running – running isn’t the main focus of the challenge. Summer, with our erratic schedules and difficult weather situations, is a great time to give our legs a break and focus on building whole-body fitness. Once the temperatures start to break and schedules settle down in the fall, then we can buckle down with a race-specific training goal. This is a great opportunity to mix things up while holding yourself accountable during the summer. Are you in? Register today and join a community of awesome women supporting each other’s health and fitness goals! PS – want to learn what ZOOMA races are all about? Sign up for the events in Cape Cod and/or Amelia Island, Florida and get 10% off registration with code JANELLE16. I’ll see you in Cape Cod in September! Have you ever done a summer challenge? How do you stay motivated to work out this time of year?